Can you believe that your favorite independent source for news, information, commentary, and discussion of One Laptop Per Child "$100 laptop" is one year old this week? Was it really just a year ago that we jumped onto the OLPC stage with the news of The Children's Machine 1 name change? Could we have grown from a handful of itinerant readers and three writers to over 1,500 decided daily viewers and a whole crew of contributors? I am still in shock that OLPC News has propelled me into the blogging big leagues with this humble effort. Did I actually get on Radio Open Source with Christopher Lydon or 60 Minutes with Leslie Stall? 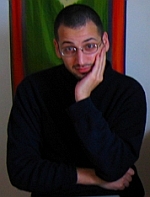 Leon Aaron Kaplan studies math and computer sciences in Vienna, Austria. He is from the generation when network access was still extremely expensive in Vienna before the big internet boom. He is Unix user and programmer since 4.3BSD-Lite / ~ FreeBSD 1.x. He has been working for major telecoms, IBM, ESA, banks and the oil industry mostly doing Unix consulting/programming since 1997. Aaron is also one of the founders of the FunkFeuer, the first fully meshed, wireless community network in Austria. Currently Aaron is working on the OLSR-NG project in order to enhance the possibilities and scalability of the OLSR (RFC 3626) mesh routing protocol. 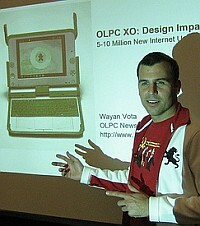 He also recently founded the local Austrian OLPC grassroots group in order to push the OLPC vision further towards reality. OLPC still has a long way to go, and Aaron hopes to give people the opportunity to help in speeding up this process. He regards himself essentially as a lightweight in the IT field, though he built his first computer in 1957 at the Medical Research Council and, while drafted into the RAF, designed the guidance system for the Bloodhound missile. He has also been at various time a milkman, a cab driver, a neuro-anatomist, a night-club owner, a furniture remover and a collector of bats for a group of Canadian zoologists in Grenada, West Indies. 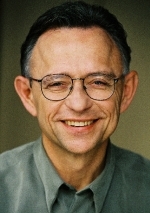 Dr. Robert Kozma is an independent consultant and an Emeritus Director and Principal Scientist at the Center for Technology in Learning at SRI International in Menlo Park, California. Previously, he was a professor and a research scientist at the University of Michigan. He started his career as a primary school teacher in Detroit. 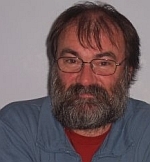 He is a recognized expert on the use of technology to improve educational systems and connect to development goals. His expertise includes ICT policy that links education reform to economic and social development, international educational technology research, the evaluation of large-scale technology-based education reform programs, the use of technology to improve learning. Most recently, he provided pro-bono consulting to rural villages in Africa on the role that ICT can play in supporting poverty reduction and development. 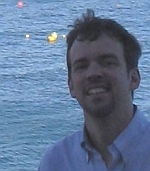 Robert Arrowsmith is from Australia and thinks techno-education will save the World. He just completed a very successful five year technical production contract with a fiber-optic broadband systems manufacturer. Previously he spent ten years in project development for a security systems manufacturer and managed an R&D company for five years developing concept-to-prototype technologies for clients. Currently he is a partner in a web hosting company, manages a home based computer repair business, and has been writing technical documentation and the odd sci-fi story every now and then. Receiving a good education and having a love for books and writing at an early age helped him develop, while his parents nurtured an interest in electronics and engineering. With no formal education he taught himself computers, which makes him realize that a mind altering project like the OLPC has the potential of techno-education to millions of children around the World. Alec McLure, a native of Venezuela who now lives in Rhode Island, currently works in Health Informatics as a product manager. He does translation and interpretation work on the side and, through that, serendipitously stumbled onto OLPCNews and the OLPC project. Although he has worked as an English & Spanish language instructor and served a long stint as a software trainer for adult learners he has no current direct involvement in education. He is fascinated by the OLPC concept and the bridging of the technology gap - knowing that his own early experience many years ago with a Radio Shack TRS-80 was pivotal. Duke Crawford thinks communications technologies are cool; maybe they can help us connect, work together better and get smarter; maybe kids growing up learning each others' languages might grow up not wanting to kill each other. Duke works at ReaD.fm, to connect people with opportunities in language learning and invites the world to help make, own, promote, use and improve tools for language learners; starting with technologies like wixi. If ReaD.fm can make some money, it will invest an increasing share of profits in literacy programs, encouraging more readers and a more educated populace. Now that you're as in awe of the OLPC News contributors as I am, its time for you to write for OLPC News too. I too wish we had more women posting, like Sylvia Martinez's post on Generation YES http://www.olpcnews.com/use_cases/education/generation_yes_laptop.html and the random women commenters. As OLPC moves more into implementation and impacts teachers, generally female, the OLPC News audience should move past product focused geeks, usually male. Can I also add how much I appreciate the hard work Wayan puts into this website. His foresight 12 months ago has resulted in a mecca for those interested in the latest news on the little green machine. Though I frequently disagree with you I think you have made a positive contribution to the larger conversation about IT in education, constructivist learning, and of course -- clock-stopping hot laptops.